Vasarely is considered the father of the movement called "optical art". His work based on geometrical pattern, subtle shifting in colors and optical illusions has been choosen for this web site as an artistic suggestion of the symmetrical underlying structure of the reality. 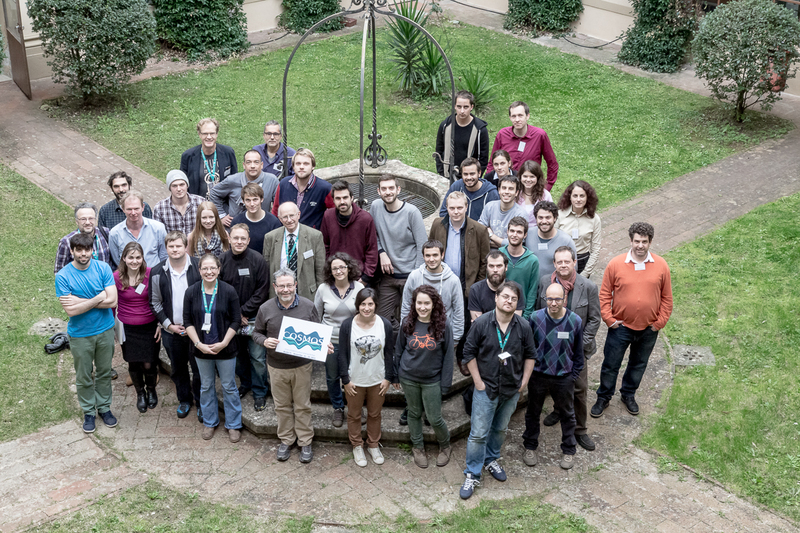 The Galileo Galilei Institute (GGI) of Florence, founded in 2005 thanks to the partnership between the National Institute of Nuclear Physics (INFN) and Florence University, has been the first European Institute dedicated to organizing and hosting long term workshops dedicated to the field of theoretical physics of fundamental interactions. A Launching Committee was appointed with the task of giving advice about scientific and management structures and of suggesting criteria for the formation of the Scientific and Advisory Committees. The members of the Launching Committee were David Gross, Giuseppe Marchesini, Alfred Mueller, Giorgio Parisi and Gabriele Veneziano (chair). GGI was established in a building owned by the University of Florence on the historic hill of Arcetri, near the house where Galileo spent the last period of his life and died in 1642. Since 2006 the GGI has been running on average three long term workshops every year together with conferences and smaller scientific activities. In particular several PhD schools have been organized every year on different domains of theoretical physics: string theory, particle, astroparticle and nuclear physics and statistical field theory. In 2018 the GGI obtained an important recognition, becoming the "Centro Nazionale di Studi Avanzati dell'Istituto Nazionale di Fisica Nucleare" (National Center of Higher Studies of INFN), once again in partnership with the University of Florence. The Institute thus confirmed its status as a point of reference for the international scientific community and as a site dedicated to high-level training of young Italian and foreign researchers. The basic referent of the Center is the INFN National Scientific Committee for Theoretical Physics, which gives its full support to favour the activities of the Institute. Workshop proposals, every year, are analyzed and selected by the GGI Scientific Committee. Together with the research activities, the Galileo Galilei Institute has recently developed a training program at postgraduate level based on a number of schools. They take place every year during winter, when the Institute is not running research programs. Each school last two-three weeks and is devoted to a specific subject: particle physics, string theory, statistical field theory, nuclear physics, etc. 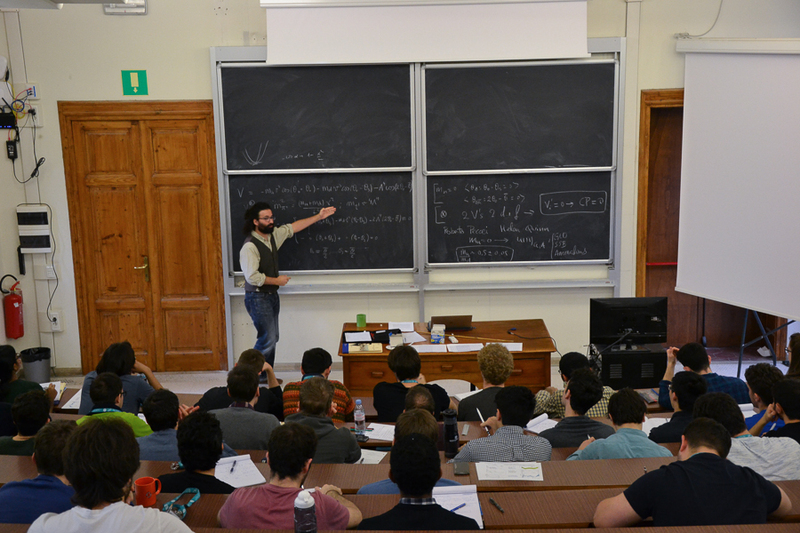 The schools aim at providing pedagogical introductions on the basic concepts and tools needed for research in theoretical physics, and cover basic as well as advanced topics. Lectures are given at the blackboard and mostly in the morning. The afternoon is devoted to exercises, study and discussions with lecturers and senior participants. A desk and standard research facilities are provided to all students. The lectures are primarily addressed to Ph.D. students, but participation of postdocs is also encouraged. The courses are officially part of the Italian Ph.D. training program for the Universities that have joined the initiative. In this case, there is the possibility of a final exam with the lecturers. Juan Maldacena, Carl P. Feinberg Professor in the School of Natural Sciences, will be the first recipient of the Galileo Galilei Medal, established by the National Institute for Nuclear Physics (INFN) in collaboration with the Galileo Galilei Institute. The award ceremony will take place on May 2, 2019 at Villa Galileo, the last home of Galileo Galileo, in Arcetri, Florence. 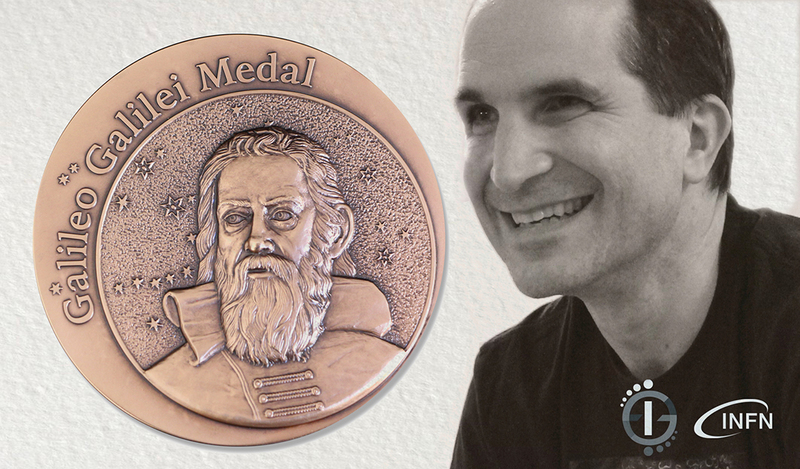 The Galileo Galilei Medal will be awarded every two years to scientists who have achieved significant results in the field of theoretical physics of fundamental interactions between elementary particles, including gravity and nuclear phenomena, in the 25 years preceding the award date. We are collecting the preprints which aknowledge the GGI. If your preprint is not in the list please submit it here.